After highlighting Tesla’s numerous accomplishments over the past year in the email, Musk got down and dirty, announcing another round of job cuts. This time reducing the number of full-time employees by about 7 percent. According to The Washington Post, those thousands of job cuts come only seven months after Tesla laid off another 9 percent of its workforce. And in order to advance the cause of cleaner vehicles, Musk will be terminating more employees and slowing production of cars which could help reduce emissions. 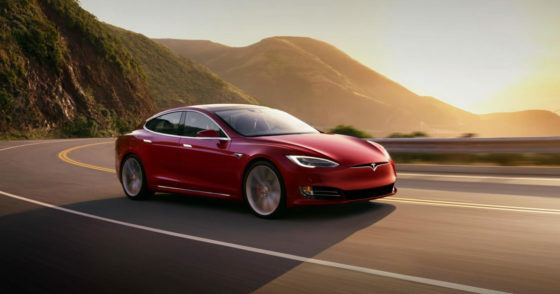 Washington Post further reported that Tesla earned a record quarterly profit last year. However, Musk warned this month that its most recent quarter would “with great difficulty, effort, and some luck” likely only show “a tiny profit.” The company will offer more detail when it reveals its newest quarterly financial report next week, a spokesman said. Tesla is just one company that has sounded the alarm of profit loss signaling a slowing or stagnant economic situation. Could this be another sign of a collapsing economy? The devastation to a “laid-off” employee and his family is enormous. Smart people will find a way to survive but the personal damage is awful. I understand that companies have to make tough choices like “lay-offs”. Good luck to all involved. Musk is intelligent man with money. Why can’t Musk hire experts to solve production issues. Tesla cars are cool, fast. The electric Motors are great. Rest of car not so great. Not road worthy in my eyes? Tech is there. But automobile use aspects lacking for the price. Toyota owns major shares of Tesla. Toyota solved All the problems Tesla has with production capacity and quality. Toyota is Top Tier. So why doesn’t Tesla utilize expertise from Toyota? Whole situation does not make any sense. Are they intentionally tanking Tesla? Why? ……….Hey SocialMedia Mob/MEDIA MAFIA, LEAVE THOSE MAGA KIDS ALONE!!!!!!!!!!!!!!!!!!! LEAVE THOSE KIDS ALONE!! Tesla shouldn’t be your canary in a coal mine. They are suffering from their own self-inflicted issues, including…..
1- Tesla failing to meet production targets on overpriced EV’s, concerning investors. 4- Investor concerns over failing to make good on various deals in several states where they receive massive tax breaks and exemptions, driving their company value down. 5- Leaving the country for China where it hopes to continue to make money via government subsidy rather than solid business plans. Most people are not interested in any electric car. The electric car is a totally failed concept. Fossil fuels are the way to go. I wonder what powers George Jetsons car? George’s used dilithium crystals. Mr Spacely had one of them expensive rides that was powered by flux capacitors. I have several in my Faraday cage. I was never going to buy a Tesla. Most other people weren’t either. Tesla going under is not any kind of sign, except that a company has to produce something that people want enough to pay for it. Obama is not around to give Tesla all the free government money to keep it afloat. Speaking rhetorically, though, Musk could be making all these same promises, in support of a monumental wall or space army. A ‘bridge to nowhere’ can be retrofitted with D or R talking points, thoughtlessly repeated in cable news, every hour or so. There are no productivity quotas, per se. None of the donors are particularly refunded, if the venture collapses, leaving valuable property behind. So far as I can tell. aimho. Until you come up with a power source equal in energy, ease of use, and cost to “Fossil fuels”, you don’t have squat. (AKA Democrats) but Democrat politics cannot change physics. Battery technology as we have today just isn’t good enough. and this is the best we have been able to do? I would not bet on electric cars anytime soon. I am 99% sure there is free energy but it is shelved. Cheap economical power is not hugely profitable so it is not allowed to be used. Large oil companies sponsor college programs in energy and when a new form is produced it is owned by the big oil co. and shelved. There have been perpetual motion generators developed but every one of them is put in archive by the ptb. You can invent power sources all you want but if it isn’t big bucks for the masters you might as well forget it. Free energy??? You can’t get something from nothing …. electric cars are powered by coal fired power plants. Perpetual motion is impossible because of friction. All, and I mean all, perpetual motion machine demos either had a hidden source of added energy or weren’t watched long enough to see them run down. Just a mile or so down the road is one of the biggest windmill operations ever, over 100 of them which are 300 feet tall. Wind is free, but those windmills cost millions to manufacture and assemble, took many acres of land away from farming, and cost money to maintain. On top of that, Amazon gets the electricity, not my county. It’s the same with all the huge fields of solar panels in my area. All of that electricity goes to some place in Virginia. Just because someone comes up with an idea is no reason to expect it to be economically profitable. The number of rich people that wanted the cars has now bought their car, so the sales volume will now drop to the next economic level. If tesla cannot produce cars at that next level, they are goners. Expecting a continuing flow of rich people is pie in the sky! Simple economics! Say you get an electric car to work. Where did the electricity come from? How was the electricty generated? Was it uranium? Was it coal? What did you gain versus gasoline? Some people are such dolts. We need comprehensive energy policies so we create new forms of power that actually is efficient and cost-effective AND use up what we have. Merely thinking electricty = good and gasoline = bad is dumb. Electrical motors are far more efficient than Internal combustion engines( 95% vs 40%). But you have noticed that people ignore the total costs of transportation in order to push an agenda. There is another cost, an intangible one. My wife’s VW Golf TDI gets up to 50 MPG@ 55MPH. After going 600 miles, I can fill the tank in less than 5 minutes and go another 600 miles. In mid-winter(heater on) or summertime(A/C on). The Golf cost me $14,000 and the cars engine will easily last over 300,000 miles. No electric car can meet those economics or convenience. No they’re not. You are only considering the output of the motor itself. When you consider where the electricity comes from electric motors loose. The thermodynamic principle of entropy tells us that something is lost every time you change energy from one form to another. It takes more BTU’s of coal to make the electricity to power the car than it takes BTU’s of gasoline to do the same. The result is not only a net energy loss but worse emissions as well. Electric motors are nothing new. If they were the answer then the internal combustion engine would not have become the dominant power plant. Electric cars are 100% about “green” fantasy not energy. I did nod to the total cost of electricity. you and me other than the price at the pump. generator. That set up is not very mobile, unless you are a submarine, icebreaker, or an aircraft carrier. They all don’t need batteries to go stay go. Speaking of steam, whatever happened to geothermal power? Or hydrogen power? Hydrogen can be made by solar power and stored for night time use. The only emission is water. Ya it is explosive but compare that to NUCLEAR power! Fookin nuke power should never have been born! I was interestd in htdrogen years ago but now I might look into it again since it is a doable energy source for the little guy. I believe in good old American ingenuity. The last four letters of American is I CAN. We need to use our DOMESTIC natural resources wisely likely coal and uranium but look for economical future sources like biodiesel from algae. That resource is inexhaustable and would take a very small amount of land to create. We don’t need just electric vehicles. We need smart new engineers who will create things like clean wood-gas to run combustion engines and generators as that looks very possible with rocket mass heaters. We need a TON of engineers and not very many women’s studies majors. Most of the emissions from a rocket mass heater is steam. Trees can produce an enormous amount of fuel and these burn very little fuel versus forced air gas furnaces or electrical heaters. We could begin more earth sheltered homes and use the same principle of root cellars to have constant 54 degrees and thus heating is vastly reduced in winter and cooling in summer is vastly reduced. Yet we still are building basically the same.kind of homes that Americans have always built since westward expansion! There were electric vehicles in my little rural city in 1972. But they were really light and just covered golf carts. But there were electric powered fork at the same time. So they can lift an immense amount on a pallet. We’re stuck because battery technology versus weight has not really advanced. And honestly this probably means a heavy reliance on rare earth minerals which benefits North Korea. VW cars especially the diesel ones are money pits everyone who knows anything about cars knows this to be a fact. This is the reason VW no longer produces diesel cars in the USA because they are so unreliable. Like I said a money pit. Don’t believe me go look it up for yourself or go to a VW dealer and try to buy a diesel anything and see if you can find a new one for sale at the dealer. Money pit! A “comprehensive energy policy” is exactly the sort of thinking that got us the idea that a money loosing electric car powered by coal was a good idea. The solution is not to straight-jacket the market with a “policy” (comprehensive or otherwise) but to do just the opposite – shut the hell up, sit down and let the free exchange of ideas in a free market work. The (pseudo) free market in energy just made the U.S. the worlds largest possessor of oil & gas. We most assuredly do NOT need an electric car but it is being shoved down our throats by the idiot bureaucrats via the CAFE mileage edicts. The answer is to stop EPA mileage diktats. Tesla’s problems are the natural result of a bad idea being subsidized by the government. One should not necessarily conflate that with the economy as a whole. Yup… just like the pied piper, led rats through the street, just like marionettes, swaying to the symphony OF DESTRUCTION! Diesel power. Nothing can compare to the power of a diesel engine. The periodic chart and the 11 key elements to batteries, will never, ever be feasible. I’m an expert in this field, the military does an advanced 50 year in the future study and we are still working diesel engines. One of the research groups concluded that people should prepare for a time when the go back to burning wood. Don’t know about you folks.. Tesla vehicles are Waay above my price range. The great scientest/inventor Tesla has had his name besmirched enough! Thankfully,the great blues based rock Tesla keeps his name alive in a good way while making millions of people happy with their music!